Michael Bay's return to the blockbuster franchise based on Hasbro's popular toys with Transformers: Age of Extinction, starring Mark Wahlberg, Jack Reynor, Nicola Peltz, Stanley Tucci, Kelsey Grammer, Sophia Myles, Li Bingbing and T.J. Miller, exploded into theaters across the globe starting on Wednesday (with North America getting it on Thursday night). By Sunday, the fourth installment of the franchise had grossed over $300 million worldwide. Domestically, the poorly-reviewed franchise reboot opened with $8.8 million in Thursday previews which added to the Friday take for an opening day of $41.6 million, the biggest opening day of the year. It dropped significantly on Saturday, down 23% to $32.1 million, but it's still being estimated to make $100 million its opening weekend, making it the top opener for 2014 over the $95 million opening by Captain America: The Winter Soldier back in early April. 353 IMAX screens contributed $10.7 million to the movie's domestic take, which is the second best for a June opening after last year's Man of Steel with nine of the top 10 runs for the movie being IMAX. 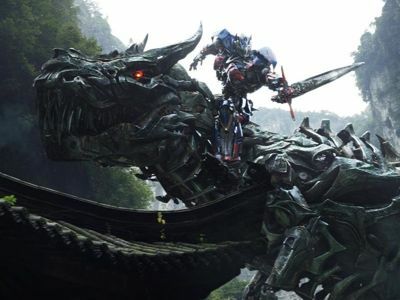 Internationally, Transformers: Age of Extinction brought in just over $200 million, and saying that its opening weekend in China was impressive would be an understatement. China accounted for $90 million of that amount, nearly as much as North America in significantly fewer theaters, while Russia and Korea both brought in over $21 million each. Next week, the movie will open in the United Kingdom with other European and South American countries following later in July as the World Cup winds down. Sony's The Amazing Spider-Man 2 finally crossed the $200 million mark domestically over the weekend while Bryan Singer's popular take on Marvel's mutants, X-Men: Days of Future Past remained in the Top 10 at #9 with $3.3 million and $223.4 million total in North America. Internationally, the "X-Men" film has brought in $489.3 million and has now earned $712.7 million worldwide, making it the biggest movie of 2014 so far. You can read the full weekend box office report over on ComingSoon.net.